All the other tourists were taking pics of Castles and stuff. 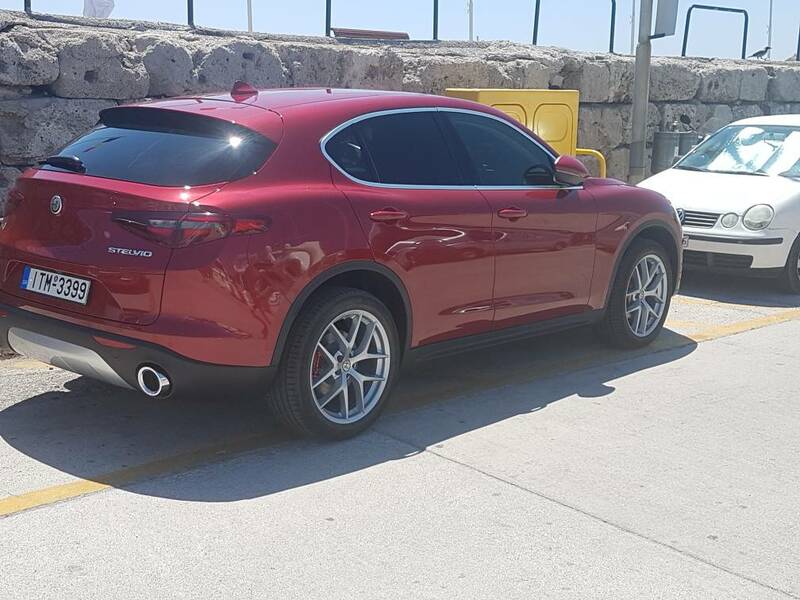 I just took ones of the Stelvio. Save the pic for posterity, it's probably the only one they've sold! Jeremy Clarkson said you can't call yourself a true motoring enthusiast unless you've owned at least one Alfa during your lifetime. Can not see any front end damage but the air bags have deployed. Having owned 6 Alfas and 2 RCZ's, both have similarities to the enthusiast. A 'sporting heart' , looks, and different from the pack. Funnily enough, I've found all 6 pretty reliable, and certainly no less reliable than anything else I've owned. The Mazda RX8 wins the award for my most tempremental. "I lived with you for twenty years: how many deeds, events and men went by! Today I remember them, each and everyone. I still have, for Alfa, the tenderness of a first love. The pure affection of a child for his mother." That was so he didn't have to look at it any longer than he had to ! Again, when I went to my Dad Enzo, he wasn't to generous with his love of me over mum, that he would let me have one of his nice little ol motors to tuttle around in.